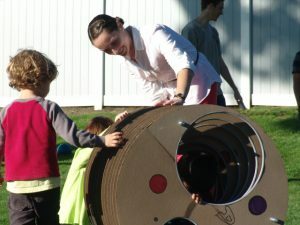 College students visit Learning Brooke as they seek to learn about the Reggio Emilia Approach. 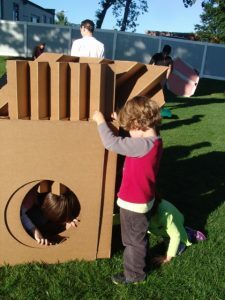 In their first visit, facilitated by their professor, Jack Ryan, who is also a parent at Learning Brooke, students discussed the relationship between the physical environment, the educational philosophy and child development. 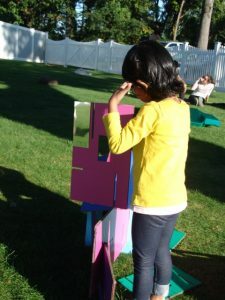 During their second visit, the college students provided large scale provocations for our PreK children to interact with on our green space playground. Teachers supported children’s interactions through facilitating questions and challenging children’s theories throughout the experience.